Following the break-up of his first band, Miller realized that he needed to develop a unique sound, and decided to make the clarinet play a melodic line with a tenor saxophone on the same note, while three other saxophones harmonized. With this sound combination, the Miller band that became the most popular was born in 1938. After a shaky start, it made his new band a nationwide hit. In 1942, Miller joined the United States Army Air Forces where he continued his musical career with the Army Air Force Band. On December 15, 1944, Miller was to fly from the United Kingdom to Paris, France, to play for the soldiers who had recently liberated Paris. His plane departed from RAF Twinwood Farm in Clapham, Bedfordshire and disappeared while flying over the English Channel. No trace of the aircrew, passengers or plane has ever been found. Miller's status is missing in action. His music is still iconic of the time period in which he lived and continues to draw thousands of fans of all age groups. 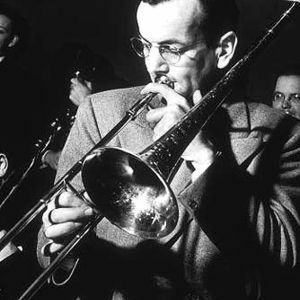 2) Glenn Miller was a Jamaican reggae and soul artist of the 1960's. Along with other legendary artists such as Bob Marley & The Wailers and Desmond Dekker he recorded for the Trojan record label.